Today I have noticed an amazing feature from YouTube. I am not sure whether it is already there for long time. But I noticed it today only. I uploaded this video which was created from the whitehouse channel which keeps their videos in public domain. But, I got below copyright claim message for the song. Because of this copyright claim, I couldn't monetize this video as it was showing third-party ads. And, surprisingly I found a button for removing the song alone so that I can monetize the video. After clicking that button, it removed the song alone while keeping the speech as it is. And, within few minutes monetize button got enabled, and the my ads are getting shown now. Really simple and useful. We can read the details of this youtube feature here. And, we can watch below the video from which the song is removed using this new feature of youtube. Are you seeing any issue in the audio/speech of this video? you can compare with the original/source video here. I believe this amazing feature is really useful for the YouTube Video creators. But I am not sure whether it can effectively work for any kind of song/audio. Have you ever used this feature? You can share your experience thro' the comments. I am planning to keep this post to list the best viral videos. 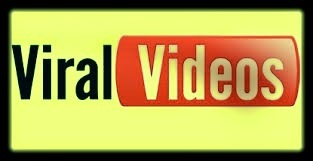 Share your suggestions to make it as best place to find good viral videos. Find below some of the best Viral Videos. I am planning to update this list frequently. 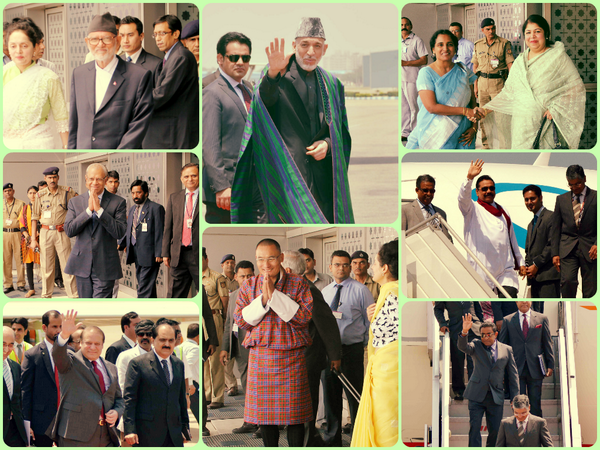 So bookmark this page and visit again. THIS lion was flipped five metres into the air by a buffalo in the Kruger National Park, South Africa. The buffalo bull was conducting a daring rescue mission in a bid to save his friend from certain death. CCTV footage has captured the dramatic moment a baby was caught by a passerby after falling two storeys from a building in China. Cutest and most fluffiest Dog EVER ! 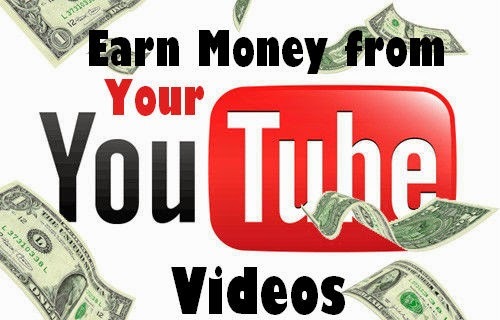 Subscribe to our YouTube Channel www.youtube.com/qualitypointtech to get more videos. And, remember to share this page with your friends and social media followers, if you like these viral videos. Directorate of Government Examination (DGE) in Tamilnadu has declared 2014 SSLC Exam Results today (Friday, 23rd May 2014). Overall Pass Percentage is 90.7 % (Boys - 88%; Girls - 93.6%). Around 10,38,876 students appeared for the SSLC exam which was conducted in March-April 2014 in Tamilnadu. 19 Students got State First Rank in this SSLC exam by scoring 499 marks out of 500 Marks. Among these 19 Students 18 are Girls. Mahesh from Pattukotai, is the only boy in the list of State First Rank holders. Students can see the results / marks by giving their registration number and Date of birth (in dd/mm/yyyy format) in any of the below websites. Customers of BSNL can get the SSLC result by sending SMS to 53576 SSLC [space] Registration Number. There is no charge for sending this SMS. But Rs. 3 will be charged when receiving the Results / Marks SMS. 10 students in the State First Rank list, are from Dharmapuri District. And, no one from the state capital Chennai. And, the state first student Bahira Banu has studied in Government School, Pathamadai in Nellai District. Find below the complete list of State First students. 125 students got state 2nd Rank in the 10th standard Exam by scoring 498 Marks. And, 321 students got 3rd Rank by getting 497 Marks. Tamil - 255 Students Got 100 out of 100. English - 677 students got 100 out of 100. And, find below the District-Wise pass percentage Statistics. Three students who did not take Tamil as first language scored 500 out of 500 Marks. Students can apply for their mark sheets through their schools. Private candidates can get their mark sheets at their examination centres on Friday. Results for private candidates will not be published online. Students can apply for re-totalling of their papers online from May 26 to May 31. The cost for the retotalling ranges from Rs 205 to Rs 305 according to the subjects. Those who failed in this exam can apply for the supplementary examinations which will be held in the last week of June. Students can register for the examinations through their schools and private candidates through examination centres. 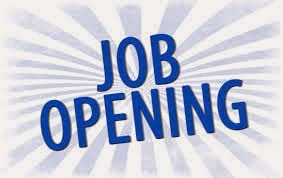 The registration must be done between May 26 and 31. The examination will cost Rs. 125 and registration fee Rs. 50. SSLC stands for Secondary School Leaving Certificate. Indian education system consists of five years of primary schooling and then another five years of secondary schooling. SSLC certificate will be issued at the end of the secondary schooling if the student pass the the exam conducted by the Board of Examination. SSLC certificate will be useful for joining industrial training and Polytechnic colleges. And, SSLC certificate was previously (i-e when registration of Birth was not mandatory in India) used as proof for the Date of Birth while applying for passports in India. SSLC Exam is also known as 10th Standard Exam, or Class X Exam. Click Here to Test your General Knowledge (GK). 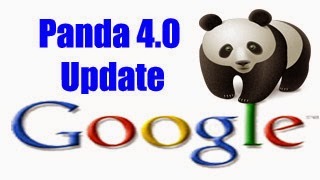 Search Engine Google is rolling out major Panda 4.0 update starting from May 20th. Mostly this update will be a multi-day roll-out. i-e It will take few days to become fully effective. Google's Web Spam Team Head Matt Cutts made this announcement in Twitter by sending below tweet. Read my previous article, if you are not aware of what is panda update. From the version naming, we can understand that the Panda 4.0 is a major update. Mostly it will be both an algorithmic update and a data refresh. Are you seeing any major change in your Analytics reports? What kind of changes you are seeing? Share your observations through the comments. And, Google has released a new algorithm update to their Payday Loan Algorithm. This algorithm specifically targets "very spammy queries" and is unrelated to the Panda or Penguin algorithms. Highlights of Reddit Interview (IAmA) of Oscar-winning composer A.R. Rahman. A.R. 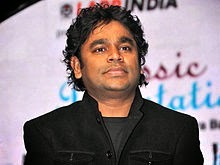 Rahman is an Indian composer, singer-songwriter, music producer, musician and philanthropist. He did the music for Slumdog Millionaire, 127 Hours, and his latest soundtrack is for Million Dollar Arm. A. R Rahman answered for the questions asked by the users of Reddit website on May 20th, 2014 in IAmA thread. He started the Reddit IAmA discussion by saying ella pughazhum iraivanukke. (i-e "All Glory to God" in Tamil language). Read below some interesting answers of A. R Rahman. Question:What does A. R. Rahman listen to everyday? A.R Rahman Answer:Good question. I mostly listen to classical music. Because I think it is very refreshing, classical music always has tonality and depth and you get refreshed listening to it. So much not pop. Maybe in the car when I travel, I listen to pop music on the radio. Question: Did you anticipate Jai Ho's success at all? A.R Rahman Answer: No! Haha. Not at all. I think sometimes you just do stuff, honestly, and the rest is taken care of I guess. But we did really really work hard to make it to the schedule and the pressure to finish it all so quickly. So we didn't think about all this. Question: Do you have special time of the day when you feel more creative? And/or a certain place? Answer: Actually, in the starting years, I used to work a lot at night. The first 10-15 years. Then once the traveling started, 16 hours of travel, 10 hours of travel, mostly it depends on my jet lag and my body clock. Mostly in my studio, where that is, I go in alone and kind of meditate and do something. Question: who was your inspiration for getting into this business? Answer: My father. I think my father was such an ideal to me, and I had to live up to his legacy. Not only as a musician but as a human being and he had so much respect from people. When he passed away, that was a very high thing to keep up with. Question: in your opinion, what is your best work since Roja? Answer: I don't have any opinions at all. You work very hard on soundtracks and sometimes it falls into place and the whole team is excited and it is a great thing, sometimes it's okay, but we put the same amount of passion in every movie. I am not in the judging mode yet, I am just carrying on my journey. Question: What do you think it will take to release the score (background music) to an Indian movie? With the exception of a few of your Indian releases (most notably, Bose), soundtracks are largely just the original songs composed for the movie. Do you think this is an issue of a lack of audience, and economic issue, or just laziness on the part of music labels? Answer: The reason for that was at least until the last decade was piracy. If they released that, they would use it without crediting on TV serials and many other things. But right now, the way we produce soundtracks is high quality and very expensive, so I think it could all be released and we are trying to do our best to release as many soundtracks as possible in the future. Question: You've composed a number of songs with a heavy Indian classical base. Do you have a favorite raga that you tend to favor or do compose to fit the situation? Answer: I normally compose the situation. And there are amazing amounts of ragas, very few people master the way to make it as melodic as possible for a particular situation. Because now of the whole generation change and how most of the movies are catered to the youth audience, it's becoming more difficult to even attempt doing the more unusual ragas. This is one of the reasons I started my own movie company for the future, we want to be as close, doing more music-oriented things, going to the depths of music in a very entertaining way. Question: Why do you repeat first two words in most of your hits? (Ex: Urvashi Urvashi, Chaiyya Chaiyya etc?) What is the name of this type of pattern called if any? Answer: In some of the songs I do that because we all have a child within us, and it evokes that. And some of the songs are lyrical and they don't need that thing, but when you want a peppy song, if you do a search, most of the songs have it repeated again and again, until it gets really annoying. Question: Could you tell us what your digital setup in Panchathan used to be? what was the complete signal chain? What Microphone, mic pres, converters, Mixer, DAW and Outboard gear did you use to engineer those records? Answer: the very beginning of my career, Roja, was done on a Frostex 16 track with an 18 channel mixer. And then for Boys, I used a Euphonix recorder, System 5 with ProTools hardware. And right now, we are using Manley compression with Logic and ProTools HDX. Question: What is your process when you go about creating a new film score? Also, who are some artists that you look up to and have learned from? Answer: My process of creating a song is actually multiple things. If I am writing for a movie, it depends on the character and what kind of background it is set, and what they are are wishing to convey, I want to take an approach that is exciting. And some of the artist, I am actually working with a lot of exciting artists. Some of the collaborations are confidential, and some of them I have already done on Million Dollar Arm, I worked with a lot the upcoming new talent from America. In India, I still keep looking up to Lata Mangeshkar, and there are just so many. And sometimes you feel so humbled when you look at the world of great artists. Question: Would ever work with Pharrell Williams? That would possibly be the best thing in the world! Answer:We got very close to working for Million Dollar Arm, but I think what happened is Pharrell was doing his promotions for the pre-Oscar thing and the director preferred more rappers than musician-like fellows. So unfortunately even though we had a great meeting, and I tweeted the picture too, we are mutual admirers and we played together with Hans Zimmer a few years back. But maybe someday. Question: Are you a vanilla or chocolate ice cream fan? Answer: Ha ha! Actually I am not a fan of chocolate. Somebody taught me that we have acidity, and because of my unusual sleeping hours I get more acidity, and vanilla kind of heals it immediately. It's a strange coincidence. So it kind of heals the acidic when you have strange working hours and sleeping hours. So vanilla. Question: How do you create more magic with ManiRatnam vs others? There is some criticism that you rehash / copy your old tunes.. would you be happy to help understand? Do you still have people threaten you for the "Bombay" movie music ? Answer: Mani Ratnam is my mentor. When I work with him, it is beyond money, so we try to communicate in another plane totally. And it's unfortunate that some of his movies don't do well, but he is creative a genius and I respect him a lot. I re-use some of the songs. In the west, it is a natural habit, because most of the songs are done in another time. I am proud of my work, and sometimes I re-use it. Question: What's your typical day like? Do you draw most of your inspiration from within your studio? Also, what's your favorite food? Answer: I think the more I live my life, I feel so blessed to be in music and not in anything else, because if you work, and the work is pleasure, and you are giving pleasure to the listeners, and that is the inspiration that we are in something good. And so how do you make it greater is only the challenge, how do you fight the fatigue and complacency and those kind of things. And inspiration comes from, initially when you write, you are challenged to write for a scene or a song, but it becomes a larger perspective where I do projects which have a kind of undertone of trying to say what i am saying in a scene. Right now i am just enjoying my life doing work in Hollywood and back in India, taking it easy. My favorite? I think after 40, food becomes like a burden. I am not into the spiciest food I used to have before, I've toned it down a lot. I have sometimes vegetarian, sometimes fish, sometimes home-cooked food. Question: How do you feel about the fact that the respective movie industries(Bollywood, Tollywood, etc) seem to be the default source of music in our country? There aren't many successful pop artists who create albums anymore. Do you see this trend returning? Answer: It's already returning in a way, actually, in different forms. For Coke studio, people are creating things that bridge cultures and make musicians perform their own songs. The trend is already changing, and songs from Coke studio and some of the MTV programs are becoming very popular. So that's a good sign. I am sure that it is going to go further. Question: Are there any western musicals pieces that have shaped your musical talent? Answer: Interestingly, yes, but strangely when I started my movie soundtracks, what it taught me was to put my passion and perfection in things, and i would say I was really awestruck by Freddy Mercury, Queen, Peter Gabriel, Michael Jackson, and the classical masters like Beethoven, Mozart, Bach, those were all great influences. All these things, in a way, they shaped my musicality. And Hindustani music, singles, and Bade Ghulam Ali Khan. Question: Who would you consider your most promising up and coming artist from India that most people haven't heard of? Answer: Oh there are SO many people. India is just buzzing with amazing, amazing talent. I am working with a guy called Hriday Gattani, we worked with the Nooran sisters, and they are amazing, and then another guy from Tamil Nadu, Adi. Most of them are in the soundtrack for i. They will release it all very soon. Question: What do people close to you call you? Any nicknames? Answer: I don't like any nicknames. People just call me A.R. My mom calls me Rahman. My wife calls me A.R. So it depends, I guess. Question: What do you think the reception of Kochadaiiyaan will be like worldwide? Do you have a certain genre you prefer to score (romance, comedy, action etc)? Answer: Well, that's an interesting question. Since I've been there from the beginning of the process, I think it's a good idea to have the character and animation thing. Though the budgets of this is not 1/10 of what Hollywood spends, I still feel it has a lot of good things that people are going to enjoy, amazingly. I think (mostly because of the high expectations of music) I naturally tend towards more music-dominated movies, so people get more bang for the buck, so I take it as a a platform to challenge myself most of the time. So for me it's all about love songs, and dances, it's entertainment. But in the west I am also doing some interesting movies, which you guys will know very soon. Question: Do you have any memorable moments while working on Slumdog Millionaire? Answer: Yes. There are so many actually. It was all under pressure, good and bad. The good moments, I had a holiday when I was working on Slumdog, when I was working all my family was there, I would work 9-5 and then evenings would be going out to the park, so it was more like a holiday scoring for me. And the bad memories were actually mixing the soundtrack, my sound engineer passed away at the end after giving the masters, he had a heart attack. So that was a bad experience. Question: If you could redo the score to any classic film, which film would it be and why? Answer: No plans like that! But it may happen, you may never know. I respect people's work a lot, so I feel people would get offended if somebody else started tampering with their work. So I will refrain. Question: which headphones do you prefer currently? Answer: Right now I am using AKG headphones which have been given to me by Harmon kindly. And JBL headphones. Question: do you think your productions have been more influenced by South Indian culture, or North Indian culture? Or Both? Answer: For me I don't have a border for anything. I create India as a whole being, a whole entity. I think that's why, the lines keep blurring for me always. If the music is interesting, I think people don't even mind it, it's something exciting for them to listen to. Music has to stand on its own merit, not whether it is North or South. Many things have surprised me, i was fearing back in the day when a Hindi audience would do when I did a Malayalam chant. I think that sometimes music surpasses all the borders, people feel the language that it's giving. Question: What do you wish you knew when you started your career? Answer:When I started my career, I was under no ambition to succeed as a composer. I thought I would do one movie and disappear. I did not think I had enough to sustain for so many years as a composer. But I think life is all about evolving oneself and growing and evoking and discovering, and that is what I have discovered over the course of life. Question: What was it like working with actors like SRK? wad there a bond after the movie? Answer:No, I usually never meet the actors, since I stay in South India and I only met them during the music release, but he really loved the music and expressed the music. Mostly I don't get to see the actors or anything, except in very rare situations, except in rare situations like Amil producing Lagaan, when I got to go to Chennai and work on the music. Question: Could you describe what was it like in the early 90s when you started composing a few jingles for advertisement companies and eventually, Roja? Answer:I think that's the most fascinating time, when you discover things which are so new to you but most the exciting time of your life. I would say it is almost like first love. Question: Tell us the most interesting titbit of a song, that we haven't heard anywhere before, of a song you produced! Answer: There are many stories like this. Actually most of the song ideas come so instantly you don't even think twice, are the best songs. The ones you try hard it always shows, and sometimes these - in the car I will have an idea, come back to the studio and flesh it out, or on a flight i will go in a catering area and sing on the phone secretly so not to wake everybody up, sometimes when I am walking that happens. Ideas keep coming at vague times actually. And it's become so handy to have a phone that has everything in it. It's much easier to be spontaneously capturing things, unlike before when you had to have a huge tape cassette recorder. Question: What makes you produce excellence after excellence persistently? Answer: I think that's the only form I can do. You cannot do less, because people have placed such amazing respect. And I take that very seriously. It makes me and my team work really hard, as much as we can, considering all the limitations of time and other things. And thank you for your compliment. Question: Which are the most used music related apps on your phone/tab right now? Answer: I use iTablaPro. I use the normal voice memo. And that's it. Question: Hangout places (in Mumbai) when you were not famous yet? And your favourite food(s)?! Answer: I never had the time to hang out. But the first memory of me in Mumbai was in the Sun and Fans Hotel, and then the President Hotel, and of course, the famous landmark, the Haji Ali Dargah. Question: What is the best piece of advice you can give to young aspiring musicians- whether as professional musicians or composers or what have you- but are afraid that it won't work out in the end? Or to better put it, what's the best thing to keep in mind when pursuing a musical career? Answer: Oh, I think the key factor is to be really original. And you have the warmth of emotion embedded in your character for music. Music is all about transporting people, speaking a language which languages fail to express. So when you do that, do the reality check, you can do it if you put your energy in it, don't expect to do it in a day, it is a field you have to plant in your heart for it to really blossom into this extraordinary character which you define to achieve since the very beginning. As simple as that. Answer: Funny! Yes, we have most of the recording tapes I guess. Most of them. We might have lost something, because I think when we did the first few movies we didn't have money to buy new tapes, so I had to erase the old tapes to make new masters. Question: What music moves you the most? Answer: Music is like a banyan for me. It is not one aspect which moves. Many different forms of music have a very different character. You can't say one kind of music is superior. I take from each music. Suppose you have a choir it has its own charm, classical music has its own charm, folk music has its own charm. Me being me, I am so open and I think I derive inspiration for all kinds of music and have respect for all musicians. Question: What's your very best advice for life? Answer: I'm just waiting for somebody to give that to me! A. R. Rahman's place in Los Angeles,U.S was vandalised recently. He said below answer when one reddit user asked about it. I think it is some kids who were trying to be smart. But it is worrying. We have just been getting the security services to look after it. Thank you for your concern.